This is a great gift to give out for the Holidays to all your little baker friends and you still have time if you start now. 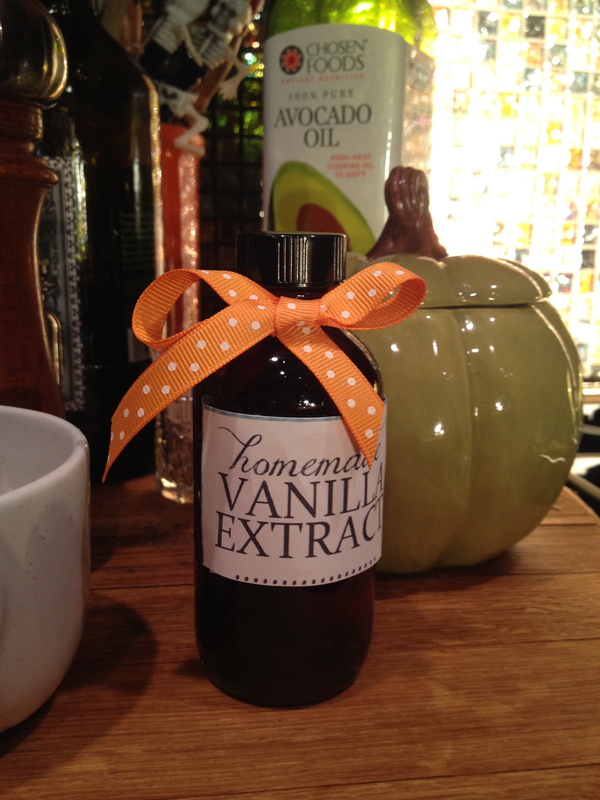 It’s the ultimate Vanilla Extract and how cute it would be tucked into a basket with a treat made from this, all decorated up with your touches on it. I bought the bottles a while back online.Not sure where but they where pretty cheap.click here for a good place to start shopping. I bought medium grade Vodka (Absolute) and some Vanilla Beans that I had sealed in the cupboard saving up for something? 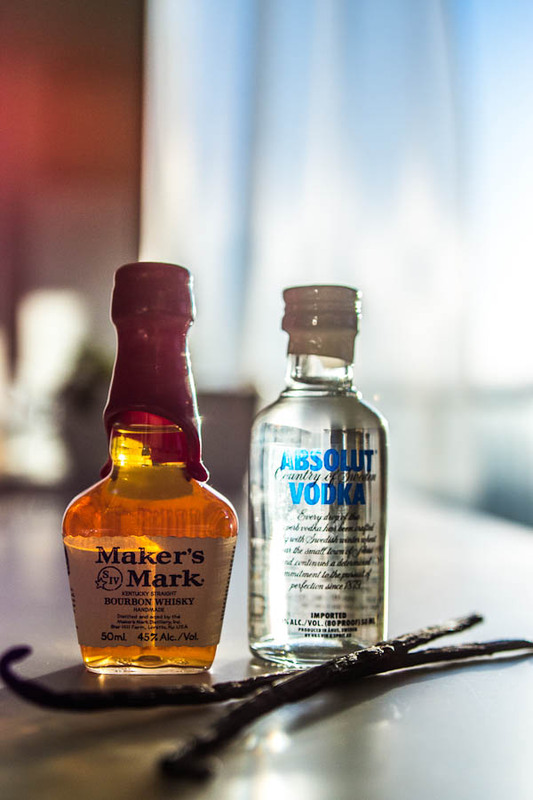 Now I know.Cut a Vanilla Bean in half then in fourths, placed two of the four cut sticks into the bottle and filled up with Vodka,store in a cool dark cabinet for a month and your ready. Take out once a week and give a good shake to blend flavors. After I made all my bottles I found a label on-line to use, once again its been so long I’m not sure where?, so either make your own or start searching “labels for Vanilla Extract”. Then later I found another blog with a fun twist on the bottling. Enjoy and have fun putting your own twist and creations into this fun idea.